Join the University of Florida Health team in Gainesville to enjoy our world-class clinical reputation, climate, and quality of life. Our nationally recognized organization is rapidly growing and adding to our team of talented individuals in a full array of career areas. 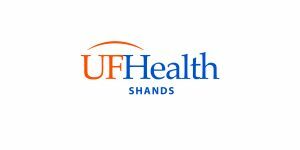 The University of Florida Shands Hospital is hiring an Inpatient Coding Quality Auditor in Gainesville, Florida. The University of Florida Shands Hospital is recognized by Becker’s Hospital Review as one of the 150 Top Places to Work, by Forbes as One of America’s Best Employers, by Indeed as #15 on the list of 25 top-rated workplaces: Best Hospitals and among both U.S. News & World Report’s Best Hospitals and Best Children’s Hospitals. Our Magnet-designated facility offers not only world-class patient care but also outstanding research and education opportunities to its employees. The Inpatient Coding Quality Auditor reports to the Associate Director of HIM and is responsible for ongoing quality review and assessment of coded hospital data. Performs audits on the accuracy of ICD-10, CPT-4, MS-DRG, APR-DRG and APC assignments. Prepares reports for management review and identifies trends. Conducts focused retrospective audits and regular scheduled audits of individual coders. Manages all audits conducted by internal and external entities and responds to requests for code verification. In conjunction with the Coding Supervisors and Coding Manager, contributes to the development of educational and training opportunities for staff. Professional Coder (CPC) OR Certified Professional Coder-Hospital (CPC-H). AHIMA Certified ICD-10-CM/PCS Trainer preferred. Must have a minimum 5 years’ experience in hospital inpatient and/or outpatient medical record coding and reimbursement. Must have Strong knowledge of ICD-9 CM and CPT coding and prospective payment systems and proficiency with Microsoft Windows Operating Systems and Office applications such as Word, Excel, PowerPoint, and coding/grouping software. Able to work well with minimal supervision and be a self-starter. Able to communicate clearly both written and verbally. Able to generate reports for management review that present audit results in a clear manner. Able to meet deadlines and respond well to frequent changes in regulation. Able to maintain positive and productive relationships with internal and external teams and customers.